Then a Beautiful Girl appears in his Geeky world... Despite the fact that the closest he's come to an encounter with a girl is painting an Elven miniature, Archie embarks on a Daring Quest to win her heart. Geek meets girl - what could possibly go right? Andy Robb was born in Devon. Once he realized that he was too short to be taken seriously as a costumed hero, he trained as an actor, before turning his hand to writing. 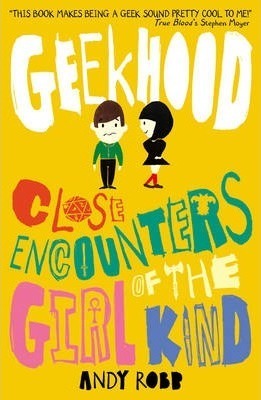 His first novel GEEKHOOD: CLOSE ENCOUNTERS OF THE GIRL KIND won him an army of fans. Andy lives on a house boat on the Thames.